We’re all set for Easter! 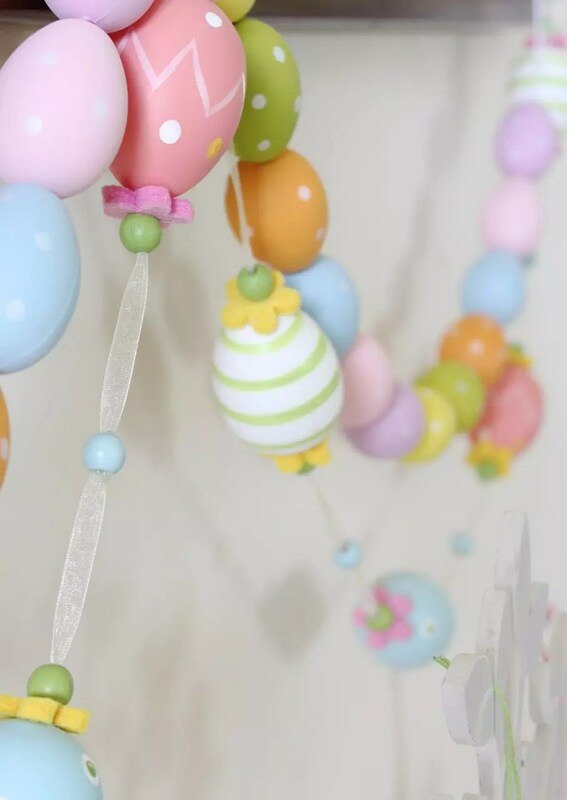 Whilst I love to do a lot of sewing and craft for Easter, I also really enjoy decorating. Mostly because my kids LOVE it too! They get such a kick out of decorating for all the different holidays. And it’s so lovely seeing their enthusiasm. Here’s some photos of the decorating we’ve been doing at home. These pretties have been collected over many years. 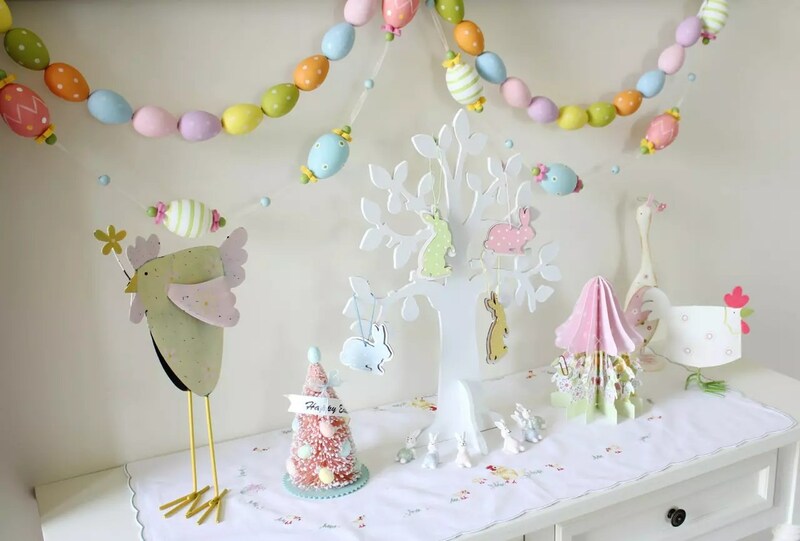 The kids also have a huge collection of home made bunnies, chicks, cards, garlands and more. But they like to decorate their rooms with those. 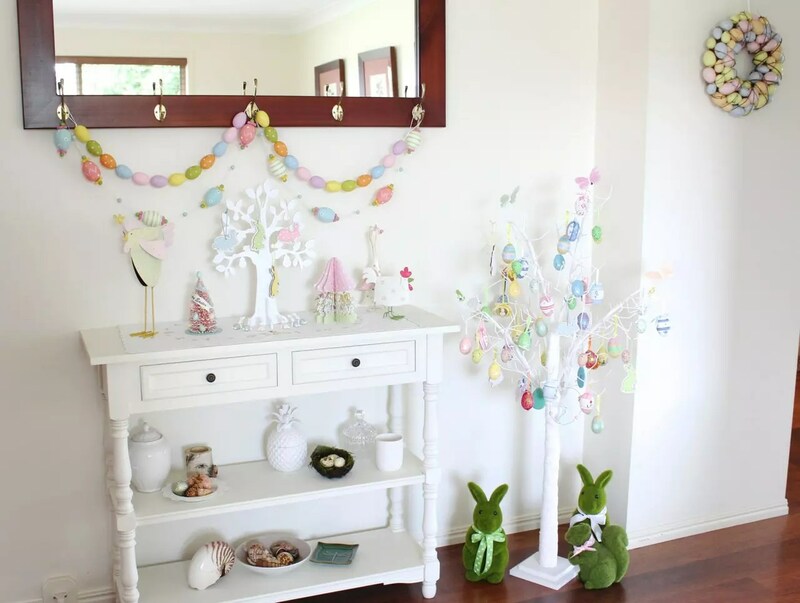 These images are of our entry hall, but we seem to have Easter things all over the house. If I’m like this at Easter, you can imagine what Christmas is like in our house! My daughter is in her first year at school and her teacher is already asking why she’s so taken with celebrating all the holidays and special days. She started the year making Valentine’s for everyone, then she moved on to Saint Patrick’s Day pretties. Now she’s enlisted my help in the classroom to create Easter baskets and other goodies. I feel sorry for her teacher! I think I might be to blame for my daughter’s obsession though! My mum keeps reminding me that kids are only kids for such a short time. It won’t be long before I’m dragging out the decorations and the kids are rolling their eyes and complaining that it’s all too babyish! So while I can, I’ll continue to decorate, craft and create! I really love the range of beautiful things that are available in stores these days. 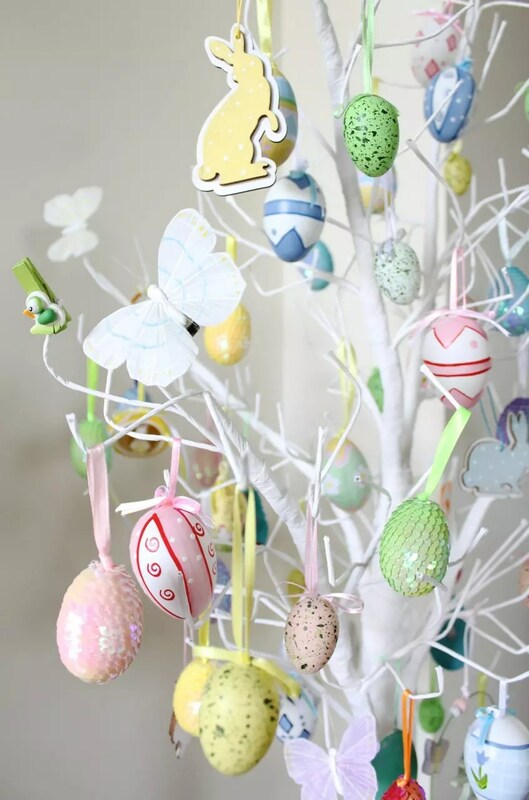 Even ten years ago, it was hard to find nice Easter decorations! 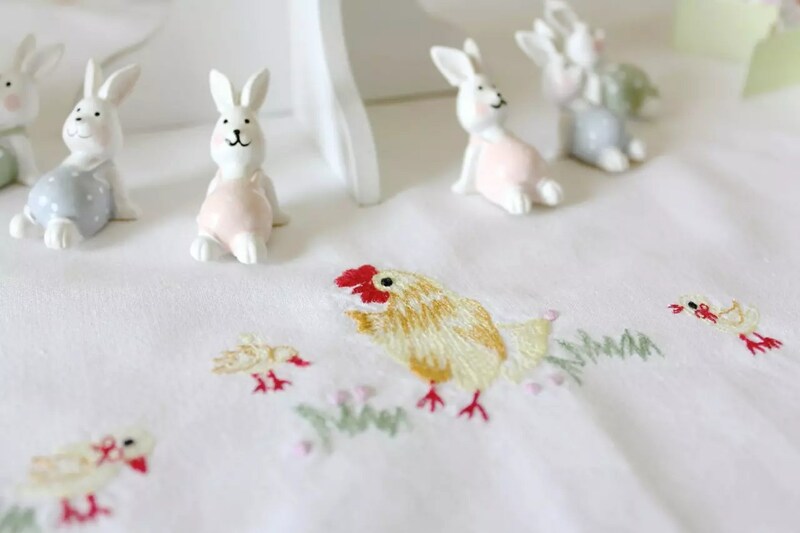 I’ve also handmade a lot of Easter goodies in the past; many for gifts and many for the kids. And we continue to create new things every year. 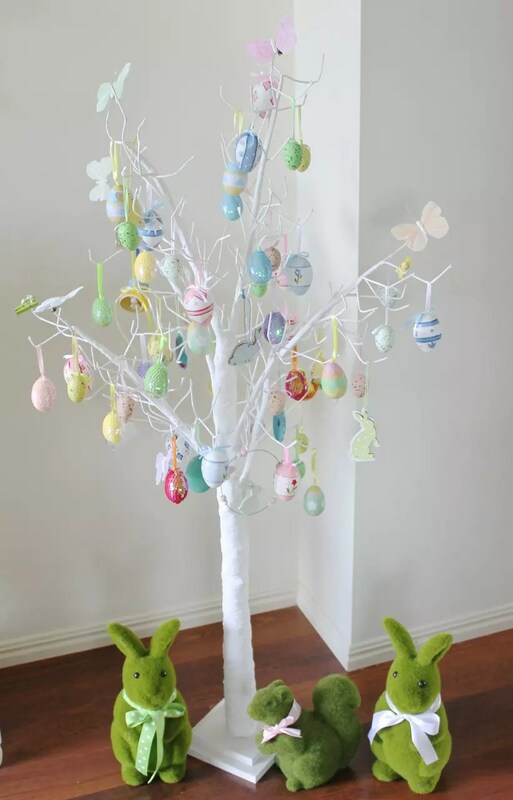 Do you decorate for Easter too? What’s the weather like in your part of the world at this time of year? Autumn’s setting in here. The nights are cooler and the days are getting shorter. I love that our Easters are like a celebration of the wonderful summer we’ve just had. 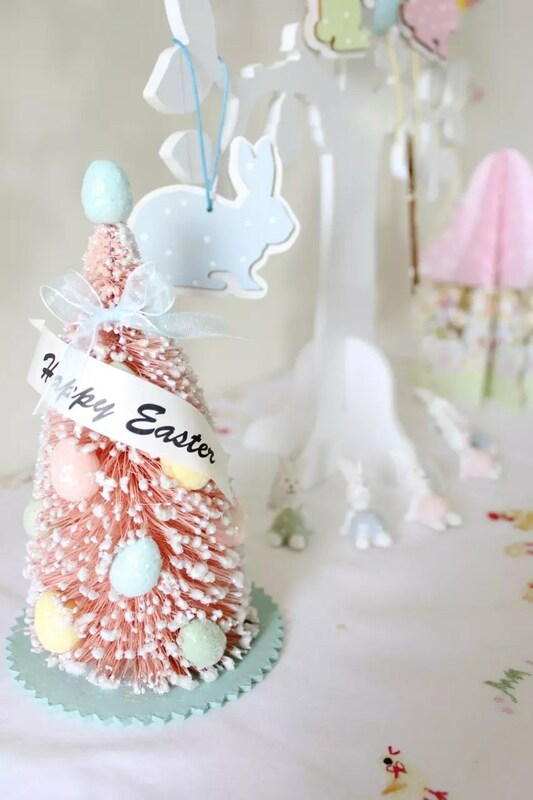 I’d love to know about your Easter decorating, traditions and more. What happens in your part of the world? Leave me a comment. And ENJOY YOUR EASTER! I hope you get to have a nice long break like we do! It’s so much fun, and your kids will love it too!